I don't know how the time got away from me but it's now 2am and I'm just starting my post. I spent the last few hours working on my water marbling skills and I feel like I progressed a little. Unfortunately I have nothing to show because despite a little progression, I rarely got the watermarble to the point where I could dip my nails in. Oh well. Tonight's(or this morning's) polish is Enchanted Polish April 2013. 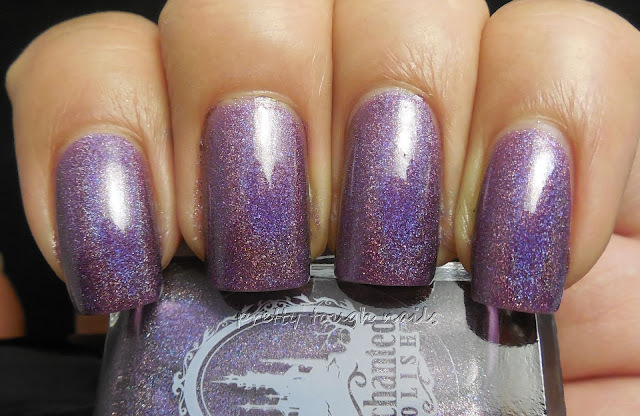 I got this polish during my first Enchanted Polish restock, and even though I tried to be quick, I only snagged one other polish. 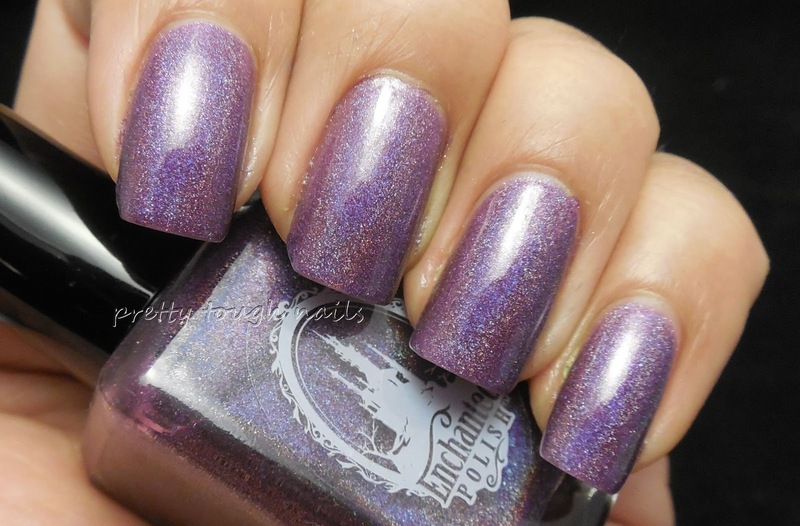 I'm still happy with what I got - April 2013 is a holo in one of my favorite colors, purple! This being one of the few EP polishes I own, I totally understand why EP is so sought after. 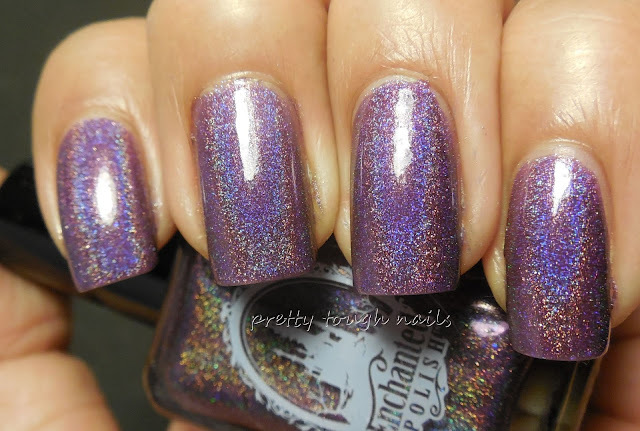 The holo in this polish is amazing! It's as strong as Color Club Halo Hues, if not stronger. I used three non streaky coats in this mani with no topcoat. Pardon the poor cleanup - marbling indoors with the windows closed is not a smart thing to do! 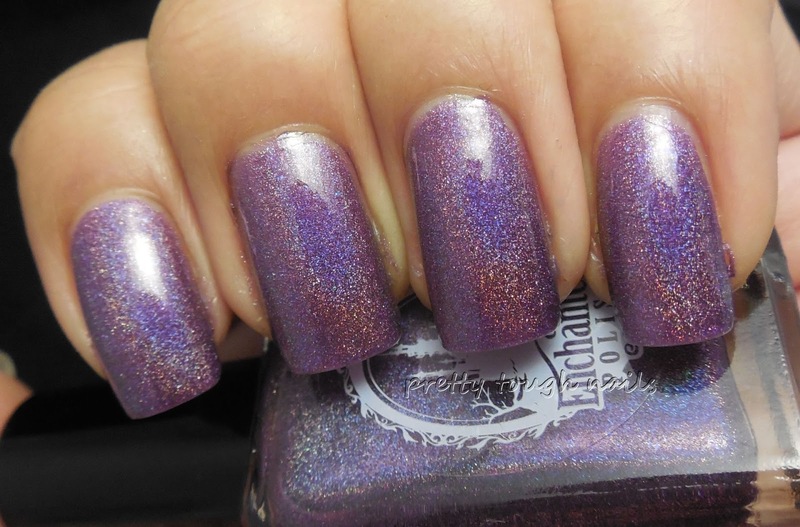 First set of pics is in the light tent so you can see the actual polish color, but the holo still shines through. This is with the mani taken under direct light. Look at those rainbows!! This is so pretty! It's the perfect polish for Mother's Day. Do you have any Enchanted Polish, and what color will you be wearing for Mother's Day?